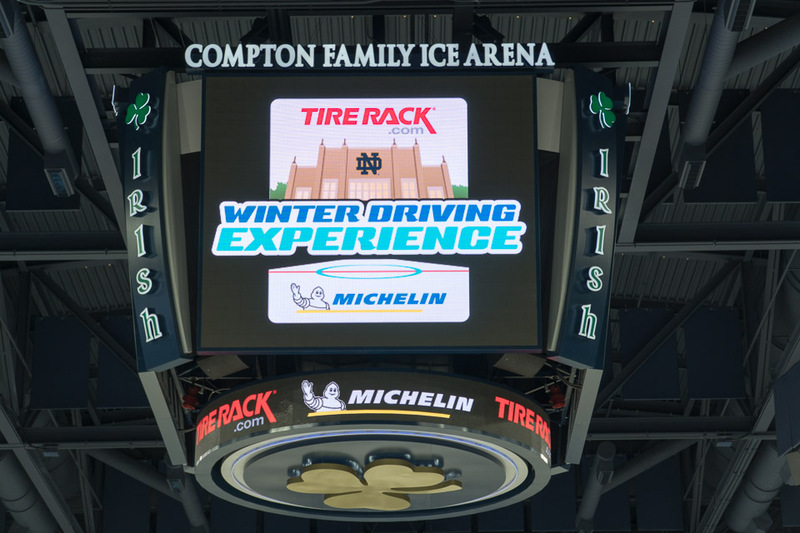 Our test location for the day: South Bend, Indiana's Compton Family Ice Arena, home to the Notre Dame ice hockey team. 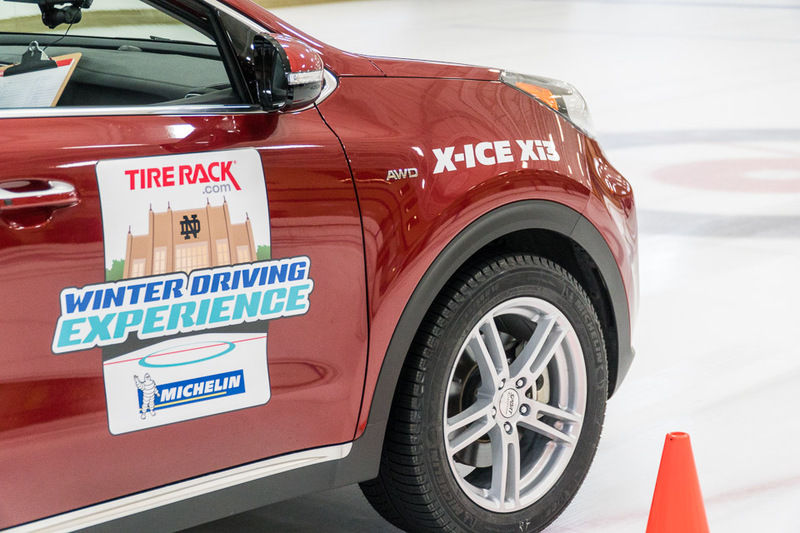 We conducted tests on Michelin X-ICE Xi3 winter tires to see how they performed alongside factory all-season tires, driving on one of the most dangerous surfaces you can encounter - slick ice. Our 60 foot acceleration results were pretty staggering - our front-wheel drive Kia Cadenza test car was substantially faster off the line. 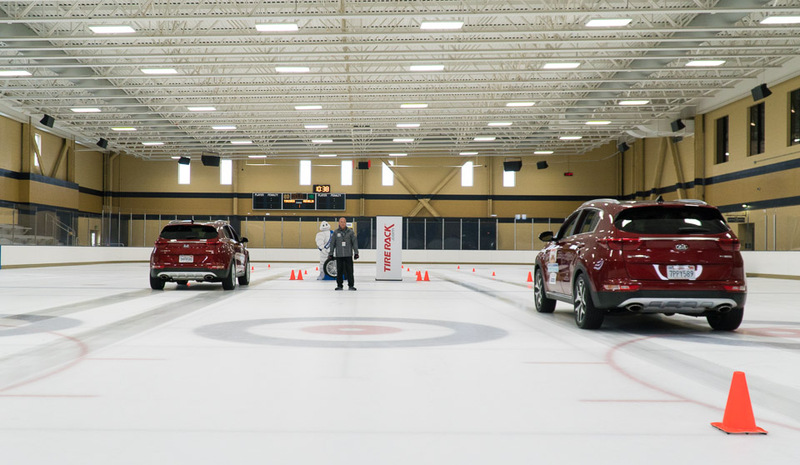 While you're not likely to ever to drag race on ice, it's nice to know you won't be spinning your wheels as much when crossing intersections or entering into traffic. 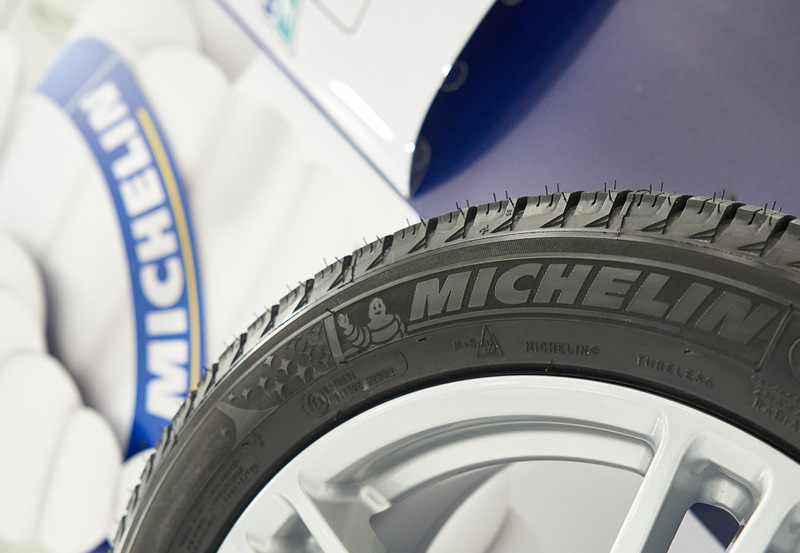 Michelin X-ICE Xi3 winter tires benefit from specialized tread patterns, including undulating cross-Z sipes which grab onto snow to provide better contact and traction, as well as tiny "micro-pumps" which pump water out of the way. The high silica content of the tire compound also provides extraordinary grip, even on slippery surfaces like ice, while the zig-zag sipe pattern provide greater tire stability when the weather warms back up. 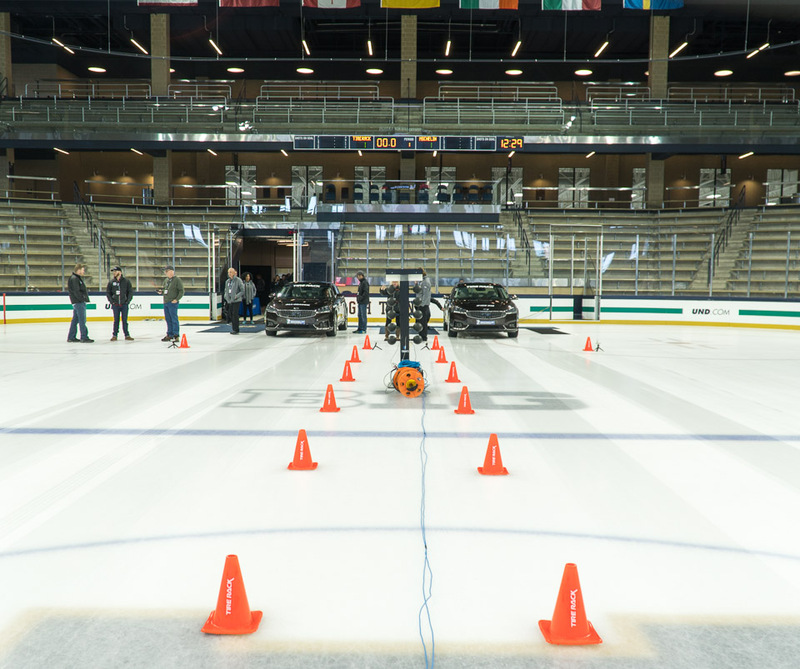 We also spent some time comparing the stopping distance and cornering ability of all-wheel drive vehicles on the ice. Contrary to popular belief, all-wheel drive doesn't make your car invincible in the winter. 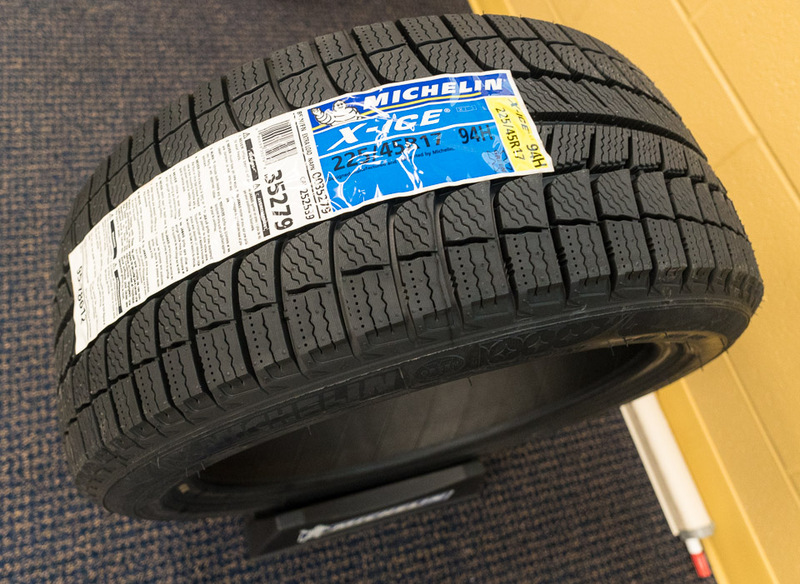 You might get better starting power and stability, but all-season or summer tires do little to help when there's snow, slush, and ice on the ground, or when the tire compound drops below about 44º F and loses its pliability. In our AWD test, the winters were a little faster off the line, but we were blown away by the substantial difference in the distance required to stop on winter tires versus all-seasons. This safety improvement alone should be reason enough to go with winter tires when the season changes. 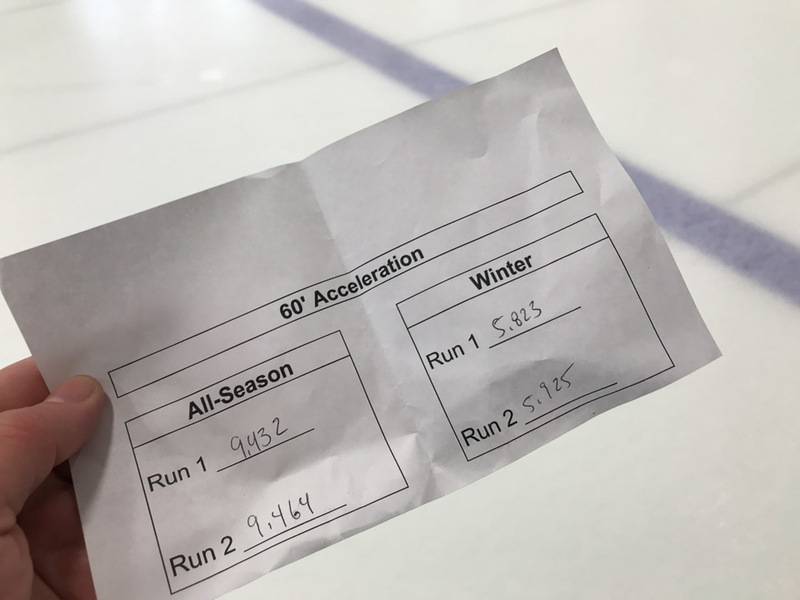 The cornering differences on ice were equally eye-opening. 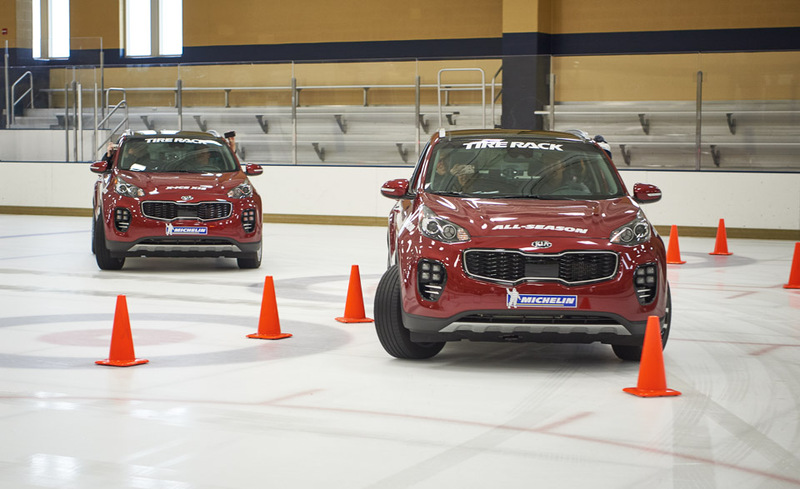 The all-season AWD Kia Sportage slid right off the ice course and into the cones every time when cornering at just a few miles per hour, while the X-ICE winter tire equipped crossover made it around the bend in a smooth and controlled manner. You might think your "M+S" marked tires are ready for the winter, but unless they bear the 3-Peak Mountain Snowflake Logo, they're not proper winter tires. Be sure to look for this mark before you buy. 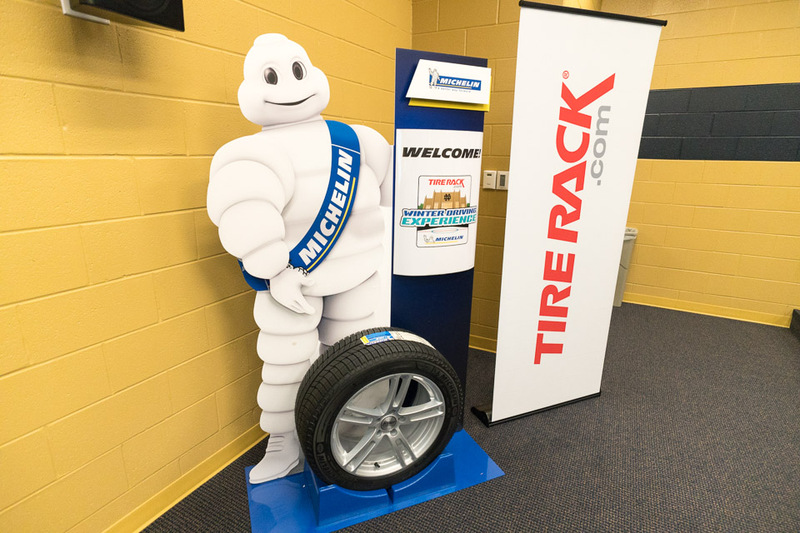 Thanks to Michelin and TireRack.com for the opportunity to visit Notre Dame, and to find out first hand why it's so important to equip your car with proper winter tires when the temperature drops.